STUNNING and IMMACULATE! 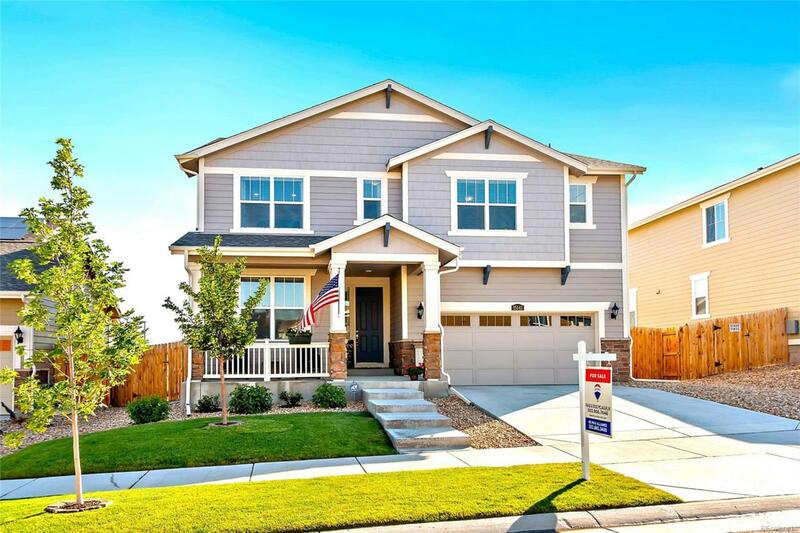 This gorgeous two year old Lennar home is a SHOWSTOPPER! The main floor features an open floor concept with guest bedroom, full bathroom, gorgeous kitchen with a massive island, walk-in pantry, two-story vaulted living room with tremendous natural light, 8 foot doors, and mudroom/office with oversized custom barndoor. The covered back porch with sunshades is waiting to welcome you to enjoy the beautiful Colorado days and evenings. Upstairs, a well appointed master suite with coffered ceiling, 5 piece bath, his and hers walk in closets awaits you. The upstairs features two additional bedrooms with a jack n jill bath, loft, laundry and full hallway bath. This home also features Dual AC and Furnaces. Close proximity to I-25, Echo Park Stadium and Double Angel Fields, short commute to DTC, Lone Tree and central Parker. Solar was installed new 2 years ago for extremely low electric bills.